Branding is essential to businesses when it comes to new customer acquisition and brand awareness. At StickerYou, we provide solutions to help you brand your products and services without breaking the bank. 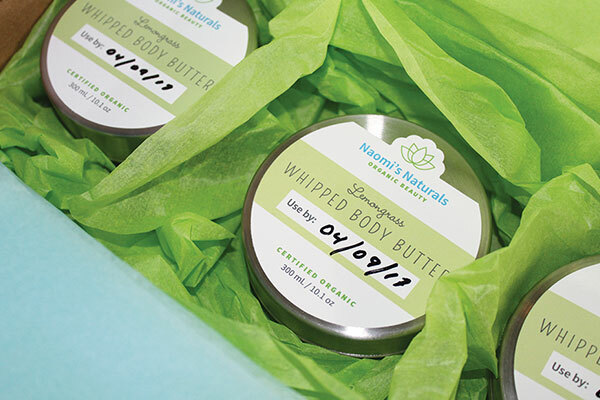 Roll labels are an excellent way to creating custom packaging and branding at a very low cost per label. By switching to our labels, you can get your cost as low as 6 cents per label! This is a great opportunity to save on your expenses, and invest in other tactics that will help your business, like advertising and marketing! Admit it - you’re interested! To help you out, we’ll go over the most popular types of roll labels, and show you some images to get you inspired. Let us help you find which products suit your needs! 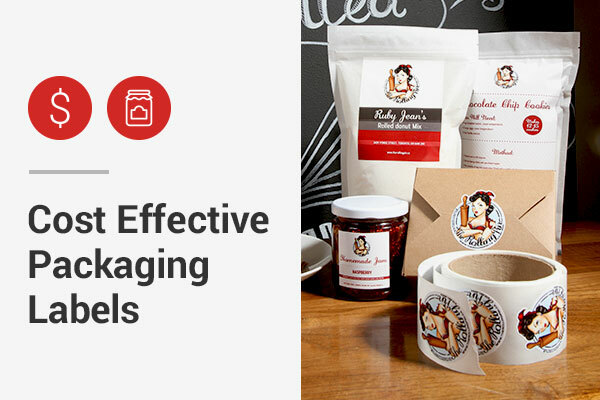 Paper roll labels are a great method of affordable packaging. These paper laminated labels have a permanent adhesive and are a great option for products such as food and bottle labeling. We have a very low minimum of 250 labels, and you can choose your own custom die-cut shape up to 7.5 inches! At 1,000 labels of 2x2" size, you're looking at as little as $0.10 per label. Our white BOPP material has a gloss coating on them, making them very sturdy and durable. This material is slightly thinner than white vinyl and has a permanent adhesive, which will keep it stuck on the surface it’s applied to. This material is great for industrial oil/chemical products, beauty/makeup products, and much more! It also has a low minimum quantity of 250 labels. For 1,000 labels at 2x2"you're looking at roughly $0.11 per label. Our writable roll labels are great for packaging and items that need unique information. These can come in any size and are die-cut to the exact shape of your design. Our matte writable labels are easy to write on with pens, pencils, or markers! They are waterproof and durable, and can also come in quantities as small as 250! The cost for 1,000 labels at 2x2" on this material would be $0.10. 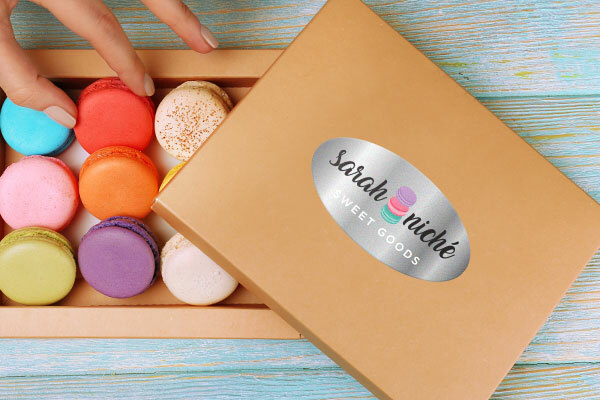 Foil labels are great for adding visual impact and a “wow” factor to your custom packaging. Our shiny foils can come in silver or gold and are made of a metallic silver material to give your packaging an elegant, supreme finish. Set your product apart from competitors using this material, and order as little as 250. If you're printing a quantity of 1,000 labels, the price per label at 2x2" would be $0.16. Reflective labels are perfect for high-visibility attracting attention, even in the dark! These labels are printed on a very durable silver-based stock and are safe for outdoor use. 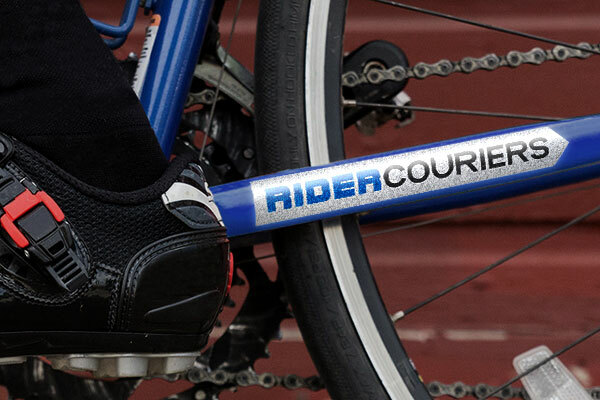 Reflective stickers are great for hard hats, bicycles, and emergency vehicles. Order as little as 250, but keep in mind that the more you order, the more you save! The cost per label at 1,000 2x2" labels would be roughly $0.73. Want less than 250 labels? No problem! 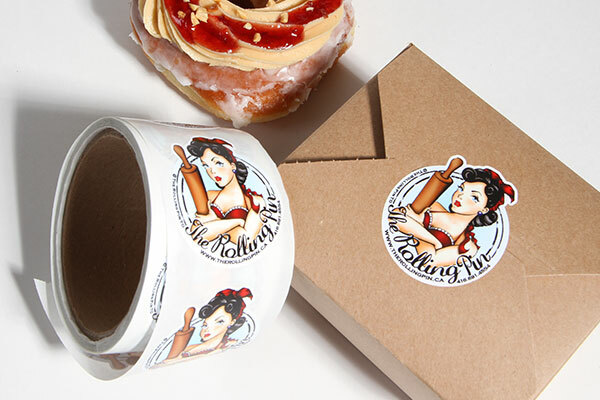 You can always order our Custom Labels, which are vinyl labels printed onto sheets. 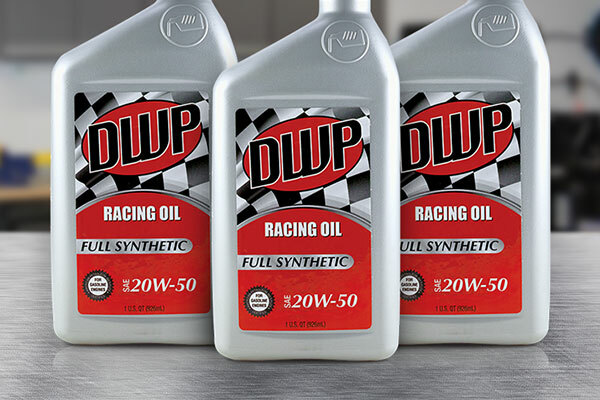 This material is easy to apply, and bubble-free to ensure your products look pristine. You can order as little as one single page and still have the confidence of a perfect application, every time!